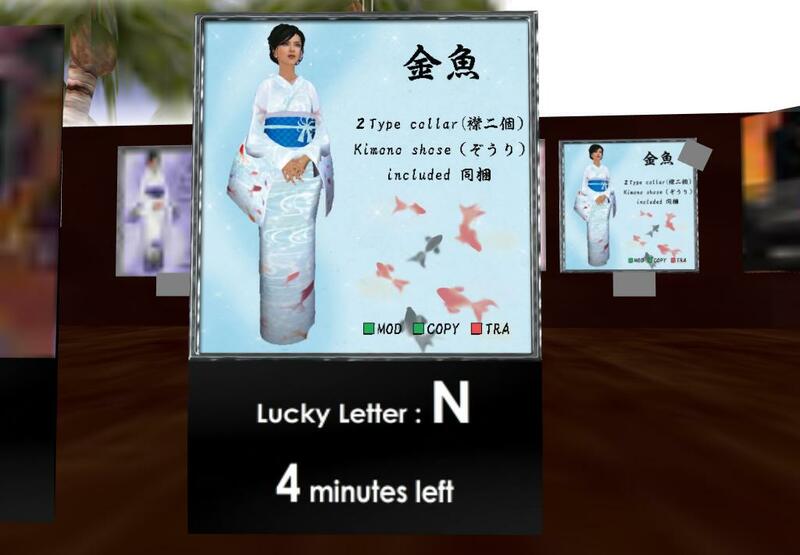 New lucky board at By Cyan for a cute kingyo/goldfish kimono. Board changes every 10 mins with wildcards and many goodies nearby. Goodluck.